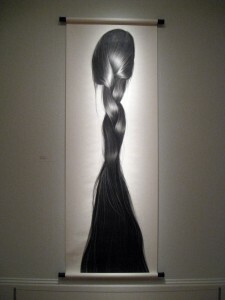 WASHINGTON, DC—Hanging in a small gallery, charcoal drawings of cascading tresses tell the stories of a family. 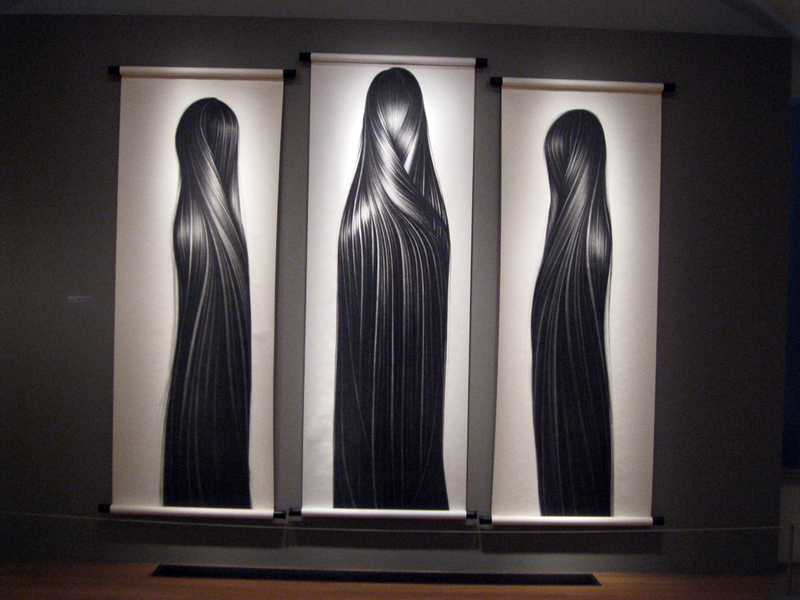 The Chinese-born artist known as Hong Zhang in the United States, depicts her own long, straight, black hair and that of her two sisters, who are also artists, in a series of compelling images on scrolls. 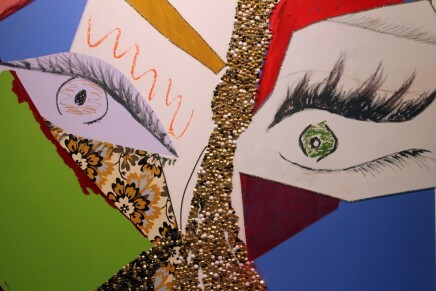 For people from a range of backgrounds, from African to Asian, hair style, texture and length, is intertwined with identity, and often a source of historically, culturally and politically charged pride and frustration. “According to Eastern Culture, a young woman’s long hair is associated with life force, sexual energy, growth and beauty,” the exhibit copy notes. 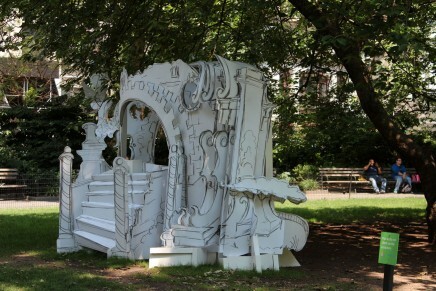 The exaggerated scale of the five scrolls is meant to transform the images from a strictly personal to a more universal exploration. 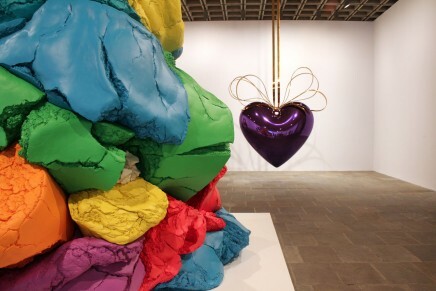 Zhang’s work is a part of the “Portraiture Now: Asian American Portraits of Encounter” exhibit at the Smithsonian’s National Portrait Gallery, which features six other artists. 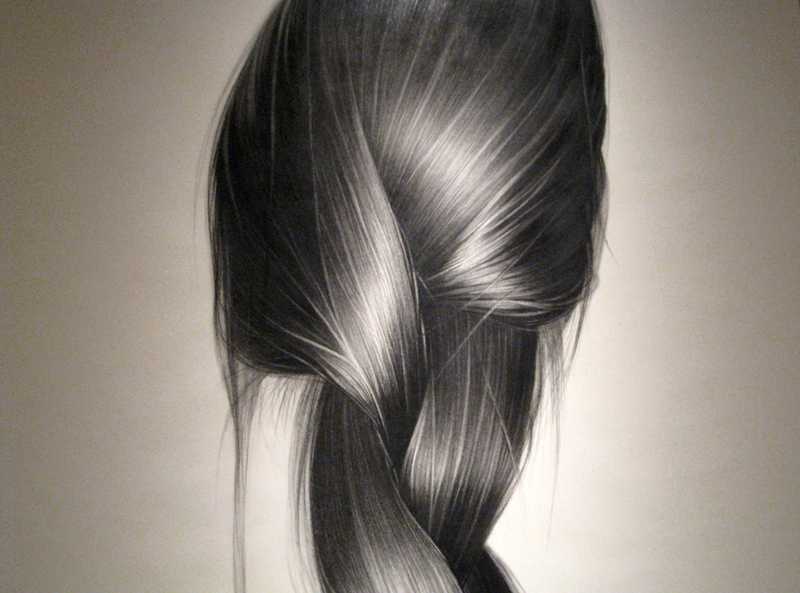 Detail of “My Life Strands” (Hong Zhang), 2009 (charcoal on paper scroll). 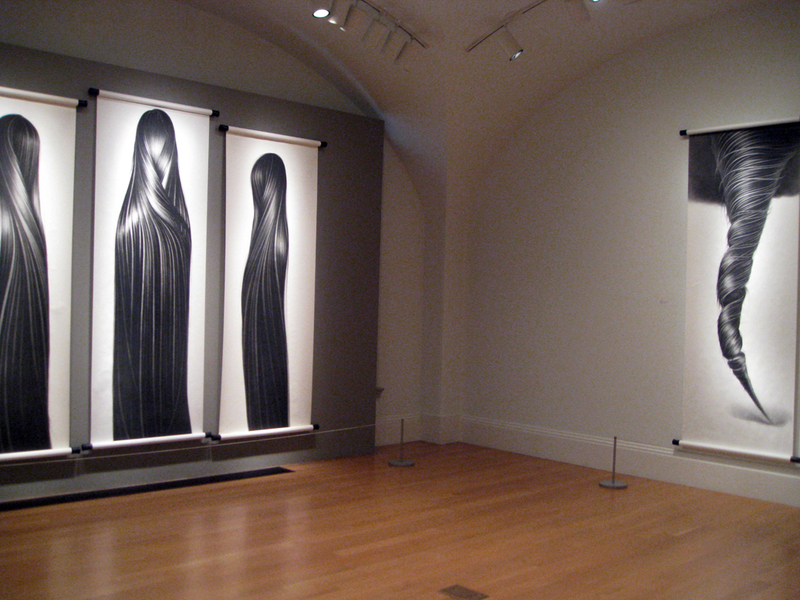 Left: “Three Graces” (from left Bo, Ling, Hong Zhang), 2009-2011 (charcoal on three paper scrolls); Right: “Cyclone,” 2011 (charcoal on paper scroll).